I love roasted vegetables. And when you combine them with toasted Israeli cousous, toss it lightly with garlicky dressing and top it with feta, well then it's absolutely perfection. You can use your favorite vegetables in this - zucchini would be great, if you're looking for some ideas of how to use some up! - but any combination will be wonderful. 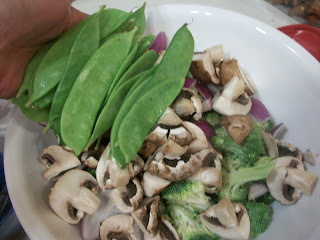 then stir them well to coat all the veggies. Spread them out on a large baking sheet. 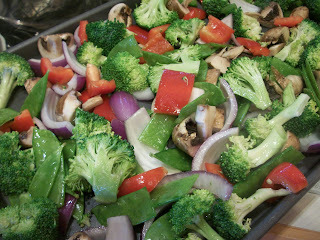 Roast the veggies for 25-35 minutes or until they are nice and tender and start to carmelize. 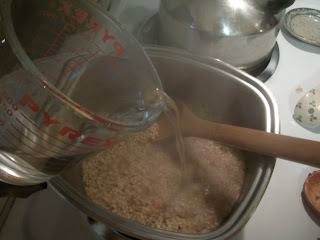 and bring the mixture to a boil. Reduce heat to low and cover; simmer for 12 minutes or until the water is absorbed. 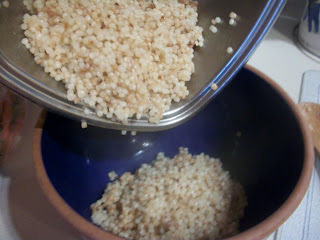 When the couscous is done, you can see why it is sometimes called "pearl" couscous! and top with the vegetables. then stir again. Doesn't this look delicious??? 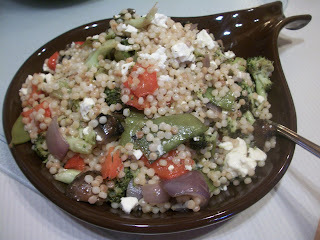 It's a wonderful meal on its own or as an accompaniment to grilled or roasted meat. Get more great ideas at Mangia Monday, Mouthwatering Monday, This Week's Cravings, My Meatless Monday, Mop it up Monday, Seasonal Inspiration, Mix it up Monday, Melt in your Mouth Monday, Recipe Sharing Monday, On the Menu Monday, Tasty Tuesday, Tuesday at the Table, Tasty Tuesday (#2), Tempt my Tummy Tuesday, Totally Tasty Tuesdays, Tasteful Tuesday, Tuesday Talent Show, Whole Foods Wednesday, Hearth and Soul, Recipe Box, Meatless Monday. 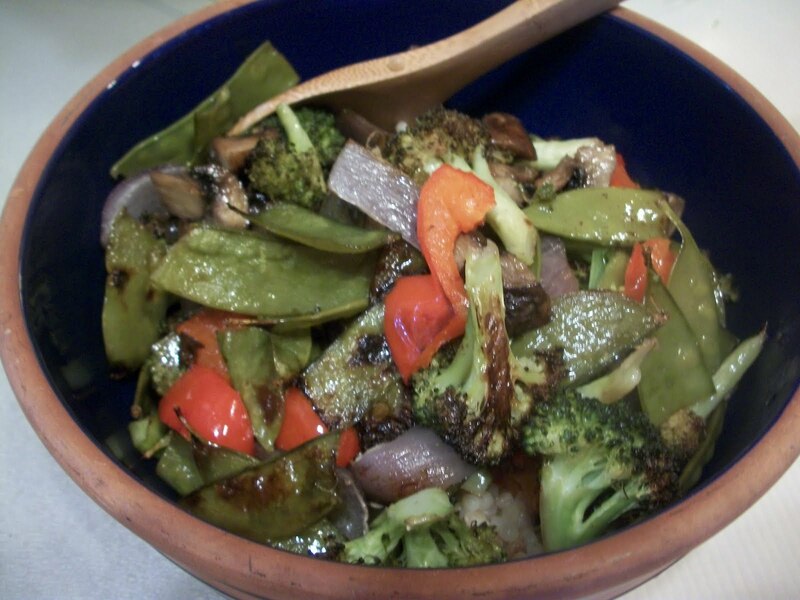 Combine the vegetables in a large bowl and drizzle 2 Tbsp. oil over them. 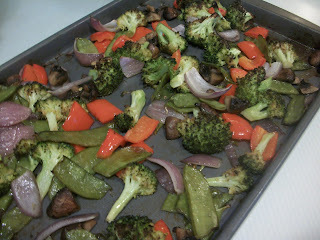 Stir well to coat all the vegetables then spread them out on a large baking sheet. 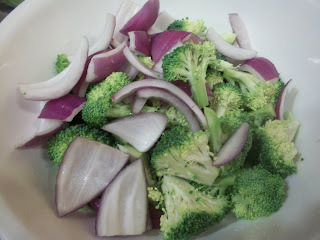 Roast at 400 for 25-35 minutes or until vegetables are tender and slightly carmelized. Stir the veggies a few times during roasting. Meanwhile, coat a medium saucepan with the remaining tablespoon of olive oil and heat over medium heat. 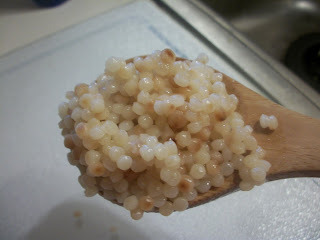 Add the couscous and toast, stirring constantly, until the couscous is lightly browned, about 5 minutes. 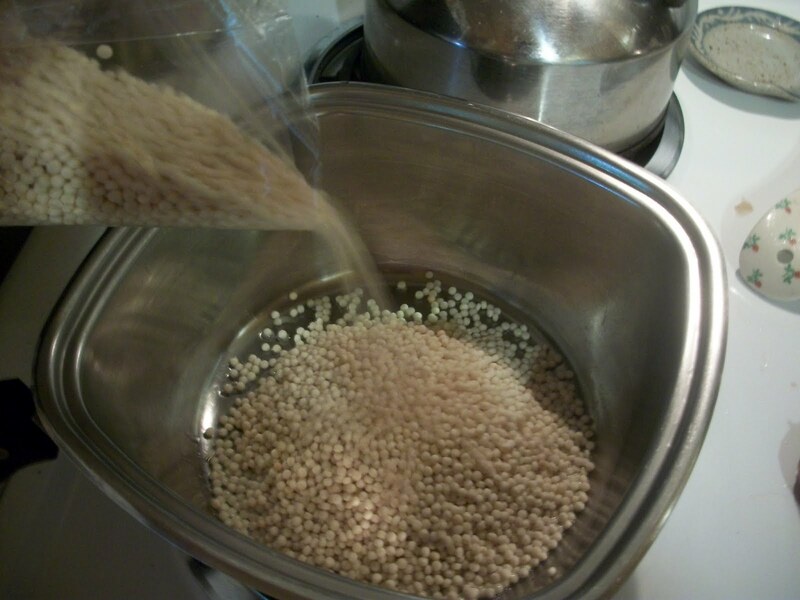 Slowly add the boiling water, and then bring the couscous to a boil. Reduce heat to low; cover and simmer for 12 minutes until the couscous has absorbed all the liquid. Pour the finished couscous into a large bowl and add the roasted vegetables. 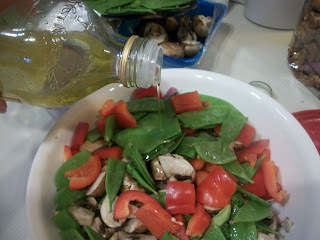 Pour in the vinaigrette and stir well. 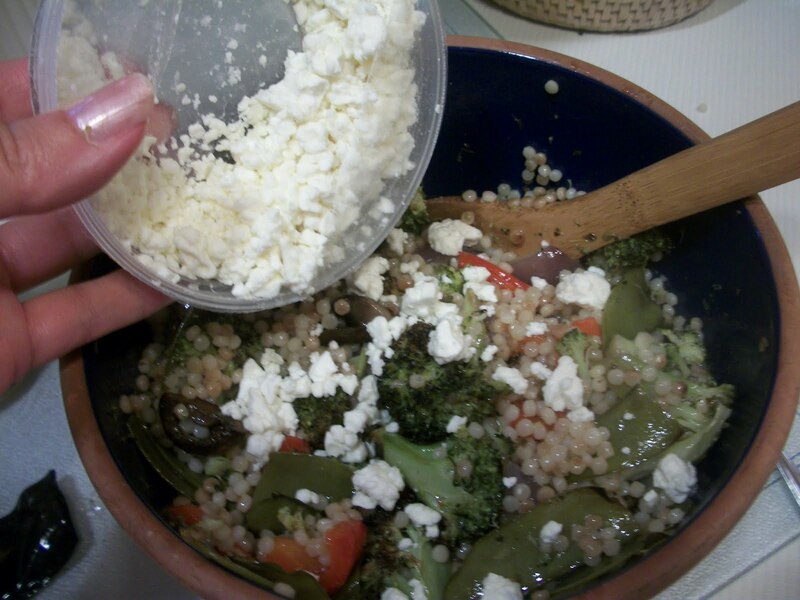 Top with feta. Serves 4-6 as a main course and 6-8 as a side dish. I know how good it is, and we love eating it. What a deliciously fresh dish - It looks and sounds really appetizing! 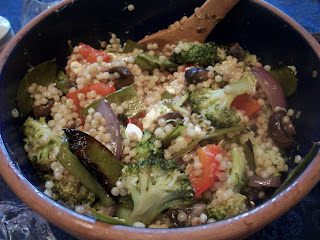 I could definitely eat this all on it's own for a fabulous meatless meal, but it would make such a lovely side dish as well. This looks delicious! 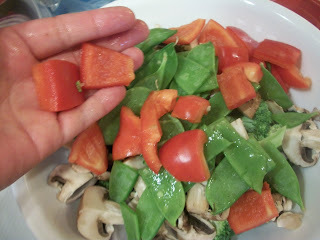 We have been enjoying the bounty and eating lots of meatless meals at our house.